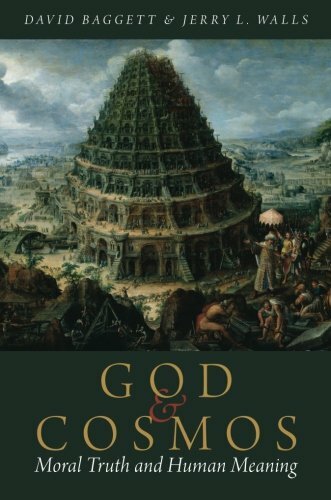 Editor's note: This essay comes from Philosophy and the Christian Worldview: Analysis, Assessment and Development edited by Mark Linville and David Werther. Bertrand Russell was not a Christian, and he bothered to tell us, in some detail, why he was not. At the time of the writing of “Why I Am Not a Christian,” his moral philosophy was a variety of emotivism. But this was not always so. At fifty, Bertrand Russell reflected upon the early days of his philosophical career and wrote, “When the generation to which I belong were young, Moore persuaded us all that there is an absolute good.” Indeed, for a period of nearly a decade, Russell defended a robust version of moral realism. His 1902 essay, “A Free Man’s Worship” touts a human vision of the Platonic Good as the one saving grace in a world where all human aspiration and accomplishment is “destined to extinction in the vast death of the solar system.” Through our knowledge of the Good we may retain our dignity and find meaning despite the “omnipotence of death” and the utter indifference of the cosmos to all that we hold dear. In the case of ethics, we must ask why such and such actions ought to be performed, and continue our backward inquiry for reasons until we reach the kind of propositions of which proof is impossible, because it is so simple or so obvious that nothing more fundamental can be found from which to deduce it. Thus, this “backward inquiry” arrives at “premises which we know though we cannot prove them,” and these become the starting ground for moral reflection. Moral beliefs ultimately receive their sanction through “immediate,” i.e., non-inferential, judgments. The final court of appeal is to “ethical judgments with which almost everyone would agree.” In short, the younger Russell was a stark raving moral realist. George Santayana thus seems to have argued Russell back out of the moral realism of which Moore had earlier persuaded him. To my knowledge, Russell never bothered to elaborate on the specifics of Santayana’s arguments that he found compelling. There is some speculation on this. Harry Ruja, for instance, suggests that Russell’s moral realism was but a short-lived and halfhearted interlude between periods when he embraced varieties of anti-realism. According to Ruja, it took little more than a nudge to dislodge Russell from a view that he never found all that compelling. And the brutalities of war may have played a role. Be all of that as it may, our chief interest here is in Santayana’s arguments themselves and not whatever propensities caused Russell to change his mind. Are any of them any good? Santayana’s criticisms of Russell’s “hypostatic ethics” are many. Some are specific counters to particular Russellian arguments. Two of his arguments are much grander in scale. On the one hand, Santayana argues that the requirements of moral realism per se are incoherent. In fact, he offers a number of arguments that seem to foreshadow those that would be marshaled in defense of non-cognitivism in the following decades. Space does not permit discussion of these interesting arguments. And a century of space-time is filled with discussions of similar arguments. My chief interest is with Santayana’s second argument, which I believe has received but scant attention. According to Santayana, the conjunction of Russell’s moral philosophy with his naturalist metaphysics forms an unstable compound and thus lacks cohesion. In fact, Santayana thinks the combination is reduced to absurdity. Harry Ruja thinks this is Santayana’s “most telling criticism,” and I quite agree. Strange mystery indeed! But why should we be called upon in the name of science complacently to admit such occult and incredible mysteries? The alleged miracles of former days were at least ascribed to a cause that could conceivably have wrought them. The distinction between true goods and false goods can never be established by ignorant feeling or by conscience not backed by a dogmatic view of the facts: for felt values, taken absolutely and regarded as unconditioned, are all equally genuine in their excellence, and equally momentary in their existence. Mr. Russell … thinks he triumphs when he feels that the prejudices of his readers will agree with his own; as if the constitutional unanimity of all human animals, supposing it existed, could tend to show that the good they agreed to recognise was independent of their constitution. Russell finds sympathy for his intuitions, not because they are self-evident, but because his reader is “the right sort of man.” And even if the sympathy were found to be universal, this would only demonstrate that his readers were members of the right sort of species. Taking certain considered moral beliefs for granted, Russell proceeds in a forward direction to the construction of a moral philosophy. After all, one cannot reasonably demand that such intuitions themselves be inferred from yet more primitive moral beliefs. But, according to Santayana, Russell’s vision is “monocular” where a “binocular” perspective is required. The ethical attitude doubtless has no ethical ground, but that fact does not prevent it from having a natural ground; and the observer of the animate creation need not have much difficulty in seeing what that natural ground is. Mr. Russell, however, refuses to look also in that direction. Given the implications of Russell’s “naturalist philosophy,” it is “no marvel that the good should attract the world where the good, by definition, is whatever the world is aiming at.” Nor is it any marvel that the dictates of human conscience should share such a trajectory. “Felt values reconcile the animal and moral side of our nature to their own contingency.” They arise out of “a substantial harmony between our interests and our circumstances.” When that harmony is achieved, there is a propensity to hypostasize the resulting “home values” into “a cosmic system especially planned to guarantee them,” and Russell’s very philosophy is just the outworking of this propensity. Russell’s good is but “natural laws, zoological species, and human ideals that have been projected into the empyrean.” Where Russell envisions the human intellect attracted by, and ascending to, a fixed and eternal Good, Santayana sees the vision of contingent and relative goods emerging in consciousness as the product of actual natures placed in actual circumstances. Darwin’s Descent of Man cannot have been far from Santayana’s elbow as he wrote. According to Darwin, human morality is ultimately rooted in a set of social instincts that conferred fitness upon our remote ancestors given the circumstances of the evolutionary landscape. Some behaviors (feeding one’s babies, fleeing from large predators) are adaptive, and others (feeding one’s babies to large predators) are not. Any predisposition or prompting that increases the probability of the adaptive behavior will thus also be adaptive. The circumstances of early hominid evolution were such that various forms of altruistic behavior were fitness conferring. For instance, members of a cooperative and cohesive group tended to have greater reproductive success, since the group itself would tend to fare better than competing, discordant groups. Assuming that the spirits of patriotism, sympathy and so forth are heritable, the predisposition for such behaviors will be passed from patriotic parent to obedient offspring. Of course, there is more to the moral sense than the instincts that Darwin had in mind. All social animals are possessed of such instincts, but not all are plausibly thought of as moral agents. According to Darwin, conscience is the result of the social instincts being overlain with a certain degree of rationality. Santayana may be right in thinking that ferocity is the chief glory of the universe for the tiger, but your average tiger is not given to reflection on the matter. Were he graced with intellect alongside his ferocity, he might be found guilty of hypostasizing ferocity in just the way that Russell has projected his own ideals. Were he to employ Moore’s method of absolute isolation the results would be radically different, dominated, as he is, with an imagination that is exclusively tigrine. He might think Russell eloquent on the topic of oysters, but only because he is the right sort of cat. Tigrine morality is, after all, nothing but the inevitable and hygienic bias of one race of animals. If . . . men were reared under precisely the same conditions as hive-bees, there can hardly be a doubt that our unmarried females would, like the worker-bees, think it a sacred duty to kill their brothers, and mothers would strive to kill their fertile daughters, and no one would think of interfering. Nevertheless the bee, or any other social animal, would in our supposed case gain, as it appears to me, some feeling of right and wrong, or a conscience. . . . In this case an inward monitor would tell the animal that it would have been better to have followed one impulse rather than the other. The one course ought to have been followed: the one would have been right and the other wrong. This “inward monitor” that is the source of moral belief thus appears to be fitness aimed in that it directs the creature towards whatever behaviors are adaptive given the contingent circumstances in which it has been placed. But—and this is Santayana’s central point—there is no reason to suppose a connection between a conscientious belief’s being adaptive and its corresponding to whatever is eternally inscribed in the moral heavens. To paraphrase Santayana, natural selection is blind to this moral emphasis in the eternal; nature exists for no reason. According to Santayana, Russell and Moore erred by isolating one element of Platonic morality—the hypostasis of the Good—to the exclusion of two others that are essential to its overall cohesion: the “political” and the “theological.” By the former, Santayana has in mind a theory of human nature holding that human happiness is to be achieved only in the appropriate relation to the good. He develops this idea more fully in Platonism and the Spiritual Life. Life … has been kindled and is alone sustained by the influence of pre-existing celestial models. It is by imitating these models in some measure that we exist at all, and only in imitating, loving, and contemplating them that we can ever be happy. They are our good. The “theological” element constitutes the metaphysical underpinning for the conviction that something or someone is actively working all things together for the good. On such a scheme, that something just so happens to be the Good itself. Indeed, Santayana thinks that a conception of the good as an influential power is the “sole category” that would justify Russell’s hypostasis of the good. The whole Platonic and Christian scheme, in making the good independent of private will and opinion, by no means makes it independent of the direction of nature in general and of human nature in particular. For all things have been created with an innate predisposition towards the creative good and are capable of finding happiness in nothing else. Obligation, in this system, remains internal and vital. Plato attributes a single vital direction and a single narrow source to the cosmos. This is what determines and narrows the source of the true good; for the true good is that relevant to nature. Plato would not have been a dogmatic moralist had he not been a theist. If we suppose that God directly or indirectly causes human beings to regard as excellent approximately those things that are Godlike in the relevant way, it follows that there is a causal and explanatory connection between facts of excellence and beliefs that we may regard as justified about excellence, and hence it is in general no accident that such beliefs are correct when they are. Santayana thus seems to have thought that moral realism is tenable only within the scaffolds of a theistic metaphysics. Given what Russell affirms in his “Free Man’s Worship,” one is left with an undercutting naturalistic explanation for the human propensity to form moral beliefs. Even if Russell’s heaven of ideas exists, we cannot know it, for the simple fact that the only apparent evidence for supposing that it does—our considered moral beliefs—is given an explanation on naturalism that in no way requires the truth of such beliefs. The more plausible view, Santayana thinks, sees morality as relative to the personal or constitutional beliefs of creatures. If Moore thought that “good” was like “yellow” in being indefinable. Santayana adds that both are secondary qualities as well. 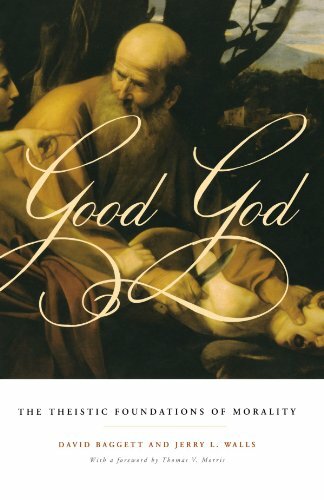 Charles Pidgen notes that even after Russell came to abandon Moore’s moral realism “… he continued to believe that if judgments about good and bad are to be objectively true, non-natural properties of goodness and badness are required to make them true. It is just that he ceased to believe that there are any such properties.” In the century that has followed, Moore’s refutation of ethical naturalism has come to be widely rejected, probably for good reason. Moore assumed that the identity of any two properties entails the synonymy of the terms by which they are designated. Given this assumption, he could argue that pleasure is not the good on the grounds that “X is N ” (where N is any natural or descriptive property) and “X is good” obviously do not mean the same thing, as is demonstrated by the Open Question Argument. We have splendid reason for rejecting the claim that identity entails synonymy. Gold just is that element with the atomic number 79. But the meaning of “gold” was fixed long before talk of the atomic structure of this metal. And it is surely an open question for one to ask, “I know thar is an element of the atomic number 79 in them thar hills. But is thar gold?” John’s disciples surely knew that John baptized with water, and could have explained the difference between water baptism and, say, baptism in fish oil. But if any of John’s contemporaries knew that water just is H2O, they seem to have kept it to themselves. The discovery would have to wait another 1700 years. And once the discovery was made, the headline, “Water is H2O!” was informative in a way that “Water is water!” would not have been. This, along with a number of other considerations, has reopened the possibility that some variety of ethical naturalism may be true after all. The ethical naturalist will maintain either that moral properties are identical to natural properties, or that they are constituted of and thus supervene upon them. If this is so, one may affirm the identity of the moral with the natural without being committed to the claim that there is synonymy of meaning. “Hitler was depraved” might be true in virtue of some set of wholly descriptive properties that he possessed. These might include his low regard for the value of human life, his monomania, his will to power and his anti-Semitism. I suppose that one may sensibly say, “I know the man thinks nothing of killing people, hates people simply because of their ethnicity, and wants to force the entire world to its knees, but is he depraved?” But this no more stands in the way of supposing that some such set of natural properties constitutes depravity than open questions about water suggest the possibility that the lakes are filled with anything other than H2O. The ethical naturalist does not posit the “abhorred dualism” of the Platonist, and so there seems little risk of the moral flying “off into the abyss” and little need for a demiurge to ensure that it does not. Moral properties are home grown and terrestrial according to this view, being constituted of garden variety facts discoverable through ordinary means. If justice just is equitable treatment under certain circumstances, then coming to believe that a given arrangement is just would seem to be no more problematic or mysterious than coming to believe that it is equitable and that those circumstances obtain. Does ethical naturalism thus survive the arguments of both Moore and Santayana that, in their turns, convinced Russell? I think not. With a bit of fine-tuning, Santayana’s arguments—or at least an insight central to them—are equally effective against ethical naturalism. That “look over the shoulder” that Santayana recommends reveals that the direction that the human moral sense has taken is determined by factors apparently oblivious to the notion of moral truth, even if there were such a thing. The mechanisms responsible for the production of human moral beliefs are fitness-aimed, and, unless we’ve some reason to suppose a connection between their being fitness-aimed and their being true, such beliefs would seem to be unwarranted. Sharon Street has recently advanced an argument that capitalizes upon these features of the Darwinian account. The core of her paper is her “Darwinian Dilemma” that she poses to “value realists.” Our moral beliefs are fitness-aimed. Are they also truth-aimed? Either there is a fitness-truth relation or there is not. If there is not, and if we suppose that evolution has shaped our basic evaluative attitudes, then moral skepticism is in order. If there is a relation, then it is either that moral beliefs have reproductive fitness because they are true (the “tracking” relation), or we have the moral beliefs that we have simply because of the fitness that they conferred (the “adaptive link” account). But the adaptive link account suggests some variety of non-realism, such as the constructivism that Street endorses. The realist requires the tracking account in order to provide an account of warranted moral belief. Here, fitness follows mind-independent moral truths. But the tracking account is just implausible from a scientific standpoint, which is important given the fact that ethical naturalists are keen on assimilating their theory within an overall scientific approach. While there is a clear and parsimonious adaptive link explanation of why humans have come to care for their offspring—namely, that the resulting behavior tends toward DNA-preservation—the tracking account must add that basic paternal instincts were favored because it is independently true that parents ought to care for their offspring. Why not just say that our ancestors who had a propensity to care for their offspring tended to act on that propensity and thus left more offspring—particularly when we witness such propensities among non-human animals? Do dolphin mothers care for their daughters because they ought to do so? A consideration of Darwinian Counterfactuals helps to strengthen the point. If, as Darwin supposed, human conscience might have been radically different had the circumstances been different, this strongly suggests that conscience goes whither fitness goest. And it is hard to see just how the ethical naturalist should assess such counterfactuals. Masked boobies, for instance seem wired for siblicide. A female will typically lay two eggs. The first to hatch frequently kills its smaller and weaker sibling, often with an assist from the parent. On the one hand, two eggs are better than one for insurance purposes. But one hatchling is better than two, as the probability that either will survive is decreased if both remain. And so the diminished reproductive value that results from the death of one offspring is outweighed by the advantage that is had in the increased likelihood of the survival of the elder sibling. Siblicidal behavior is thus selected for its reproductive advantage. So consider “Booby World” —that possible world in which the conditions of reproductive fitness in the evolution of humans (or creatures of similar intelligence) were the same as those of boobies. Here, Cain kills Abel and is met with approval, and his mark is a badge of honor. Here, booby people regard siblicide and infanticide as “sacred duties,” as Darwin puts it. Such moral beliefs are fitness-aimed. Are they also true? Is killing certain of one’s offspring in fact obligatory and even meritorious in Booby World? Would any of them be less contingent than this one, or nearer to the heart of Infinite Being? And would not any of them, whatever its character, lead the spirit inexorably there? To master the actual is the best way of transcending it. His first question is rhetorical. No possible world is closer to the heart of “Infinite Being,” because it “includes all worlds.” And spirit would be led “inexorably” to embrace whatever values it discovered in those counterfactual circumstances. “Good” and “evil” are world-relative. All such values are world-bound. It is thus “provincial” and a kind of “animal arrogance” to exalt the values that obtain in this world to the exclusion of those that might have been. Our cosmos has turned up one set of “ambient values” which we hold dear as our own. But when in Booby World, do as the boobies do. This is not the sort of answer that we should expect from the ethical naturalist, who wishes to affirm that moral facts or properties are mind-independent. According to the ethical naturalist, moral properties are either identical to or at least supervene upon natural properties. Consider supervenience, the weaker of the two claims. On a standard account, any two things that are indiscernible with respect to their natural properties N are also indiscernible with respect to their moral properties M. And this is usually seen as metaphysically necessary so that if there is any world W in which X has N then, for every world W*, if X has N in W*, then X has M in W*. It follows that if Hitler is depraved in virtue of the set of non-moral properties mentioned above, then there is no possible world in which anyone has precisely that set but is not depraved. And if it was wrong for Cain to kill Abel, then that wrongness is in virtue of certain natural properties of the act. Suppose that the natural properties and circumstances involved in Booby Abel’s slaying are identical to those that were instanced and obtained when Cain killed Abel, but for the fact that in that world the act enjoys the approbation of both conscience and consensus. If moral properties supervene upon natural properties, then, presumably, we should conclude that Booby Abel’s slaying is murder, despite it’s being hailed as a sacred duty in that world. She opts for this property as opposed to the more determinate properties of “being well-balanced, strong, with an easily graspable handle, and so on” Even though we may find that this familiar set of properties coextends with those that “conduce to satisfying the wants that people typically hammer nails in to satisfy,” there are all sorts of “odd possible worlds” in which people typically have quite different wants for which deviant hammers come in handy. There are worlds in which “large slabs of granite” do the best job in this regard. And so we are metaphysical imperialists if we presume to impose our nail-hammering wants upon the counterfactual carpenters of those worlds. Thomson thus fixes upon a property that is less determinate than those that characterize hammers of earthly goodness: it is good insofar as it answers to wants or is useful. Let’s say, then, that usefulness is the natural property upon which the evaluative property, being good supervenes. And the usefulness of the hammer supervenes, in turn, upon those more determinate features that fit this or that hammer to its purpose. Since the uses vary from world to world, so may the particular features that render hammers useful—and thus good—vary. Should the ethical naturalist follow her lead in the case of siblicide in that Darwinian world we are imagining? Sure, in both worlds, the victim was a fully sentient person with a desire to live, ends of his own, and no intention of bringing harm to his killer. But perhaps the actual supervenience base for such acts is less determinate than such a set of properties. Might this permit one to say that the acts of both worlds are right? In fact, as we have set things up, both familial love in the actual world, and siblicide in the counterfactual world, are adaptive from the standpoint of reproductive fitness, just as Estwing hammers and chunks of granite are both useful, despite sharp differences between the features that render them useful. Perhaps, then, the sacredness of infanticide is in virtue of the fact that it is conducive to fitness, so that truth tracks fitness, so to speak. A perhaps seeming advantage of this suggestion is that we have now been afforded a guaranteed link between fitness and truth. What reason have we for thinking that moral beliefs that are adaptive are also true? Why, because being adaptive is the very thing that makes them true! But this seems an overly convenient way of replying to Street’s Darwinian Dilemma; it does so by conflating the “adaptive-link” and “tracking” accounts. And it calls to mind Santayana’s quip about the good being, by definition, “whatever the world is aiming at.” All archers are equally good marksmen when the mark is determined by where the arrow happens to fall. But where this is the case, there can be no such thing as a poor marksman. Nor can any be better or best. And then one is left to wonder whether it is meaningful to call any of them “good.” Santayana’s tongue-in-cheek remark was offered in the service of his view that the good is not objective at all, but, rather projective. But on the suggestion that we are presently considering, this proves to be a distinction without a difference. Edward Wilson and Michael Ruse once suggested that ethics is “an illusion fobbed off on us by our genes.” But now we know that, by definition, genes never fob. One might suppose that what is needed is an appeal to natures. Thus, actual human nature being what it is, familial affection and reciprocal kindness commend themselves as virtues. But in the sorts of worlds that Darwin imagines, the creaturely natures are different, and so it is no surprise that virtue and duty should assume quite different forms. Since Darwin is imagining beings with natures different from our own, the fact that those counterfactual moralities come out so different has no bearing upon the objectivity of our own. Now, assuredly, there are possible worlds in which natural differences are sufficient for various sorts of acts to differ with respect to their moral properties from the same acts performed in our neck of the logical woods. Here, it is a fairly serious matter to shoot off a person’s head. But it might amount to little more than an annoying prank in those worlds where heads are quickly regrown. But we are imagining counterfactual heads that do not grow back, and counterfactual owners of heads who wish very much to retain their titles. If the appeal to differences in “natures” amounts merely to the observation that, here, we think it wrong to kill babies, but there, they do not, what is this if not just to rephrase the suggestion above regarding fitness? We should allow that this difference in the moral sense is sufficient by itself for sorting justified from unjustified homicide only if we think that killing in the actual world is permissible so long as the killer can sleep nights and no one else, save the victim, seems to mind. Perhaps there is some other natural, subvenient property that is common to both earth and all such Darwinian worlds and is that in virtue of which the various acts described have the property of moral rightness. Presumably, this would be some natural property that is common to both equitable and inequitable social arrangements and to both the nurturing and the strangling of babies. There are, of course, such common natural properties. Random acts of kindness and random acts of violence share the property of being an act. But this will hardly serve as a plausible right-making property of acts. (The Decalogue might have been reduced to one precept: Thou shalt do something.) Presumably, we seek something a little more determinate, but not so determinate as to exclude counterfactually evolved moralities. But whatever we settle upon, the natural properties upon which justice and injustice or depravity and saintliness supervene are not equity or inequity, cruelty or kindness, but something that serves as the genus for these seemingly opposed species of moral properties. One unhappy result here is that those more determinate natural properties that are favored by reflective equilibrium would prove to be merely accidental and coextensive features of morality. If there is some natural property N that is common to both equitable and inequitable bargaining outcomes, and upon which justice supervenes, then N, and not equity, defines the essence of justice. This would appear to be the metaethical equivalent of the suggestion that water is whatever fills a world’s oceans, so that earthly H2O and Twin-Earthly XYZ both qualify as water. But then being H2O is not the essence of the stuff that we call “water.” One might thus offer a functionalist account of moral properties. Perhaps, for instance, “justice” picks out whatever natural properties tend toward societal stability. We happen to live in a world in which equity has this effect. But there are worlds in which inequity does the trick. In addition to signaling a significant departure from the sort of account that ethical naturalists appear typically offer, such a move would seem a precarious footing for any robust account of moral realism. It is, in fact, a recipe for relativism. It is hard to see how a metaphysical naturalist after the order of Russell can afford to reject a Darwinian reckoning of human morality. Moral behavior is not the sort of thing likely to be overlooked by natural selection because of the important role that it plays in survival and reproductive success. Early ancestors who lacked the impulse to care for their offspring or to cooperate with their fellows would, like the celibate Shakers, have left few to claim them as ancestors. And it is hard to see how ethical naturalism can be reconciled in any plausible way with the contingency of human morality as implied by a standard Darwinian reckoning of things as understood within the framework of metaphysical naturalism. Whether the claim is that moral properties are identical and reducible to natural properties, or that they are constituted by and supervene upon them, the relation should be fixed across worlds in order to anchor the realist element. In fact, on a standard account, moral terms function in much the same way as natural kind terms in that they rigidly designate natural properties and thus track those identical properties across worlds. But it seems that this will either end up asserting an unwarranted form of metaphysical imperialism, or it will require the identification of some natural property (or set of properties) that is common to and right-making across widely divergent Darwinian worlds. Among other things, one might wonder how such a property could seriously be set forth as one empirically discerned or as playing the sort of explanatory role that is claimed for moral properties on ethical naturalism. In his eagerness to establish the good's objectivity, Russell has separated values from man and man's will so emphatically that there is no way to reunite them. He may proclaim "ought to exist" as often as he wishes, but if no one is moved to take on the role of the demiurge, the eternal and potential ideals will remain remote from depraved reality. But Santayana viewed the positing of some such “demiurge”—or, more generally, a “dogmatic justification” for this moral vision, in the form of the requisite metaphysics—as nothing more than a “gratuitous fiction” that can hardly be taken seriously by any modern critic. The only reasonable position, he thought, was a conjunction of naturalism and some sort of moral skepticism. I do not know about those “modern critics” who were Santayana’s contemporaries, but now a century later Sorley’s suggestion may enjoy enhanced plausibility. It is widely recognized that we must approach each and every field of knowledge, including the sciences, with some fund of beliefs that we just happen to have. Since all theorizing has these same humble origins, how can one non-arbitrarily single out a particular domain of beliefs for suspicion? To use an example from recent discussions, a scientist’s belief that a proton has just passed through a cloud chamber might be explained (away) merely by appeal to her background beliefs and theoretical commitments. For example, her theory has it that the appearance of a vapor trail is evidence of proton activity, and so, of course, when she sees, or believes that she sees, a vapor trail, she forms the belief in the proton. But here we are required to be realists about protons only if we have assumed that the scientist’s theory is “roughly correct.” But, again, why extend this courtesy in these cases while being decidedly discourteous in the case of morality? Certain of my moral beliefs seem to have a greater degree of epistemic security than any of the various empiricist principles that would cast doubt upon them. Why reject the moral beliefs for the sake of such principles unless there is a splendid reason for doing so? Given Santayana’s metaphysics, moral properties turn out to be metaphysically queer. But, then, so is the phenomenological property of redness, which some philosophers do not admit, and the rest do admit, but also admit that they cannot explain it. Chesterton said that he took pleasure in the fact that the rhinoceros does exist, though it looks as though it does not. There is redness and there are rhinos, and if my philosophy does not admit them, then perhaps it is time to get a new philosophy. Might the same thing go for rightness?